Following a detailed design-and-build process with Isobar Ireland, CarTrawler has recently launched their new website and has already seen thousands of newly signed-up customers. The site is currently attracting 30,000 visits per month and research has indicated a significant increase in the length of time a visitor now spends on the site. Built to best-in-class UX principles and providing an engaging user journey, the new site communicates ease, expertise and scale. The new online experience enables the travel specialist to recruit new customers, suppliers and partners with efficiency and style. “Isobar’s customer centric approach combined with strong design and technical expertise, has allowed us to deliver a new web and mobile experience that perfectly reflects CarTrawler’s brand, culture and ambition” Joe Farinella -Marketing Director. 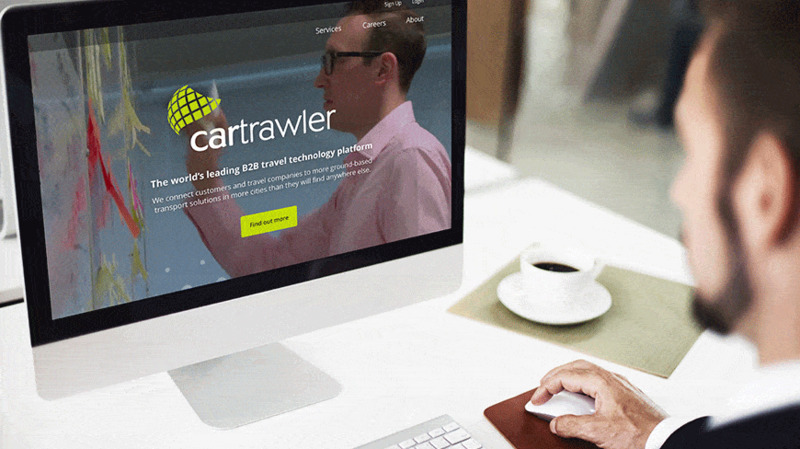 As a market leader in a growing industry, CarTrawler now has the online presence required to both connect with current and new customers and create a platform for future engagement.